Do you trust your body to know what to do when you return to nature? What is this deep connection that we crave from the forest? If we do not understand our body, we cannot contemplate its relationship with the land. 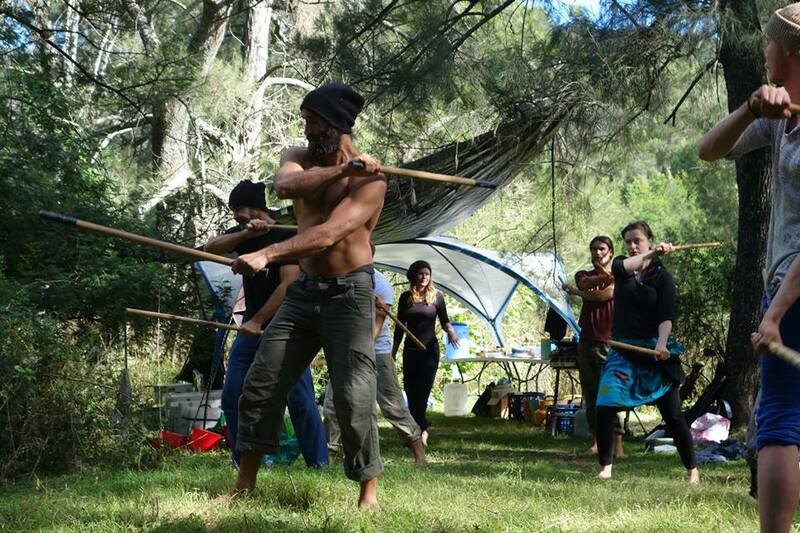 The Survivor Movement Camp is a unique poly-sensory immersion into movement, nature and play with like minded teachers who have fully dedicated their lives to the research of natural movement patterns, natural foods and connection to the land. This experience is to Nurture our connection with nature, through companionship, leadership and courage. This is a unprecedented collaboration of thought leaders in a location like no other. Numbers will be capped to preserved the quality of the event. Book early to secure your spot in this uplifting event. 1700-onwards Opening Ceremony. Meet & Greet. 1600-eveing Full paleo feast with wild caught game. Camp Fire, Music, Rest and Reflect. Sun & insect protection. Plenty of water! Tents & Hammocks. Comfortable clothing suitable for movement. First Aid Kit. Minimalist footwear preferable. All meals for two days will be provided. A reasonable level of fitness is required for the camp, however everyone is welcome since we are all beginners at this camp and not one of us is an expert in the full range of topics covered at this camp. This camp is not suitable for kids and inaccessible for pets. Arrive early to setup camp. A full paleo feast on Saturday evening is included as part of the package. Wild game, courtesy of Cave Foods. This is a Alcohol and Drugs Free Event. We encourage the purity of natural connection to the land and each other. Leave without a trace policy. This is a minimal impact camp. Take everything that you bring. There will be plenty of free time to familiarize and apply some of the new tools in your arsenal. Private location will be announced closer to the date. Had a great weekend at the Survivor Movement Camp with some awesome new crew from the Sydney Region. Incredible workshops on bush tucker, tracking, survival, play wrestling, natural parkour, free diving breath hold and breath work under pressure. Plenty of time to nurture with zen thai shiatsu, music, lots of play training and good conversations with an amazing mix of movers, meditators, artists, musicians, gardeners, activist, foragers, hunters, dancers, builders and scientists. A genuinely creative and inspiring people. I take comfort in knowing that there are lots of great people in the world, working hard doing what they can to make things better. My favorite cheesy quote of the day ~ "We know that people have to make some changes in the world, and by default it is us, because we exist"
Great to meet every one. I had such an awesome time. Thank you Dr. Ram and all the other organizers and instructors for an awesome event! I just wanted to extend a very big warm thank you to Dr. Ram for organizing an incredible weekend reconnecting with nature again. Thank you for holding the space to meet so many connected souls to the land sharing knowledge and wisdom and inspiring me in every way possible with our land. I met so many beautiful kindred spirits and look forward to staying in touch and reconnecting again. Rafe Is the founder of Evolve Move Play, a movement practice rooted in evolved human movement patterns and deeply informed by the power of play. Rafe has been practicing a variety of disciplines most of his life, including martial arts, gymnastics, capoeira and most especially parkour. He earned wide respect as the progam developer and head coach of parkour visions one of the world's first parkour facilities. After 9 years of teaching parkour he left the parkour gym to pursue movement in nature and develop Evolve Move Play (http://www.evolvemoveplay.com). In particular Rafe has been studying human movement's origins in arboreal environments and our untapped capacity to move and play in the trees. Rafe will be teaching the Arboreal pattern of locomotion. Patrick's healing touch is felt through his presence, even before any physical contact. A Zen thai shiatsu practitioner with a wealth of knowledge on body mechanics and rehab. After two full days of movement, Patrick will replenish vitality in our bodies by showing us how to release fascia using dynamic massage. Patrick creates body relaxation through joint rotation and spine mobility during his massages. first MovNat (http://tengeri.com.au/our-team/www.movat.com) certified Trainer (level 3) in Australia. Stuart will be teaching natural movement, hunting patterns and survival skills such as shelter building. culture. Ryan combines his connection to country with his song writing, to bring the inspiration from nature into the songs of everyday life. Ryan will be sharing songs throughout the Camp, filling the fire with his presence he will be there to support the movement in country with song. Jake is a passionate conservationist and bush craft teacher specializing in edible and medicinal native and introduced plants. Jake is fast becoming known as one of the foremost authorities on edible and medicinal plants and openly admits he is obsessed with learning about the various uses of plants. Jake has spent most of life fine tuning his survival knowledge in what he calls "The University of the Bush". Jake's presentations/tours are interactive, engaging and include a comprehensive display of native and exotic plants and an in-depth description of some of the plants uses. 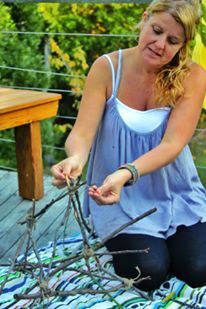 Jake will share information on how to make rope out of tree bark, fire from sticks, soap from Wattle leaves and much more. Kalvin has been an ambassador for the Martial Arts, health and fitness since the mid 1980s. Founder of Warriors Path Academy, 4 years as a Tactical Self-defence Instructor, Kalvin has spent the last 20 years traveling the world, training with many highly respected experts and masters, in a broad variety of disciplines including self awareness, self defense and combat. Founder of MovGen. Kaushik has a decade of experience in Neuroscience and brain training technology. Equally passionate about movement, his research mindset lead him in search of the origins of movement itself. A fusion of mind-body techniques, he is the pioneer of the Flow State Protocol™. Kaushik will be teaching movement for mental performance, including physiological survival skills such as accessing body intelligence under pressure.